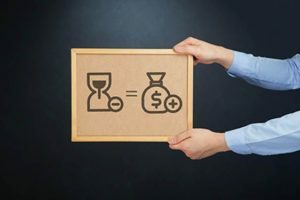 Be it your overtime pay or your regular pay, it is expected that as an employee, you receive the full payment of your services under normal circumstances. It, therefore, follows that if your employer decides to reduce your expected wages, denying you of the much you deserve, such actions would be regarded as unlawful and wrong. We recommend that you reach out to a competent attorney as soon as you can in order to get the professional guidance that you need. Getting attorney will give you an undeniable legal edge in your claim, your attorney will afford you with a clear evaluation of your claim and go on to help you craft a winning case in court. Now, for all your legal needs, Rawa Law Group is your best bet for a spectacular service! We have for over two decades devoted ourselves to bettering the lives of claimants across the United States with our unprecedented services. Our Wage and Hour attorneys in Fontana are highly revered for their impeccable work ethic and refreshingly humane approach. We implore you to allow us to get you the justice that you deserve, as we have done for so many clients in the past with praise! Do note that you are not expected to make any down payments before we get on with your case. We have given ourselves over to receiving payments only when we have won your case and given you the desired outcome. In other words, we do not get paid until you do. Feel free to reach out to us today, we will be honored to hear from you.